Between driving in the car, going to bed at night, resting for quiet time, and just dancing around, my kids listen to music and other things quite a bit. Even though I just shared nine of our current favorites a couple of months ago, I already have another little group. The thing is, every time I write one of these posts, you all come back with some really great suggestions, which we try out and usually love, so then I have more things to share. It's a vicious, but wonderful, cycle. Keep it up. I can't believe it's taken until now to mention our love for this rock band. 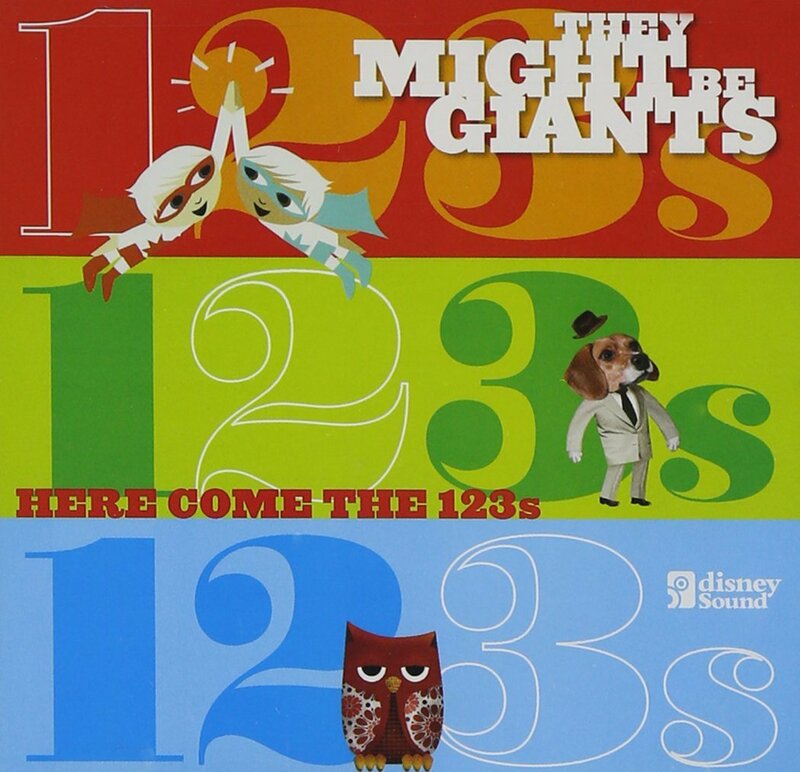 Although they've only been writing music for kids since 2004, they've been around since the 1980's. Mike was well acquainted with them before I brought home Here Come the ABCs (their first children's album) from the library, but the rest of us have been quickly converted. They have a dry sense of humor that makes Mike crack up on a regular basis, they're not afraid to use big words, and they explore a lot of advanced concepts and ideas. Their songs are educational while being highly entertaining and catchy. It's a winning combination. My kids also really love their videos. Oh, and I just found out that they're releasing a new album, Why?, at the end of this month. Just in time for Christmas. A couple of years ago, I was participating in a preschool co-op, and one of the moms made up a CD of educational songs from her childhood for us to use when we were teaching. I used the song, "Months of the Year" every time it was my turn because it was such an easy way for the kids to learn the names of all twelve months. It wasn't until recently that I figured out that that song was sung by Greg and Steve. They've been around for decades and many of you probably already know them from your own childhoods. I must admit that the album cover I'm showing here is not necessarily my favorite album of theirs. As of right now, we've listened to a number of their albums, and I haven't absolutely loved every single song on any of them (but I've liked the majority), so I just went with an album cover that I liked (some of their covers are a little strange). They sing a mix of well-known and original songs, and while I won't pretend that these songs don't sound like they were recorded in the 1980's (they totally do) or that they're voices are my very favorite (they're not), there's still something about them that hits a sweet spot. Remember when I devoted an entire post to Laurie Berkner? Well, she's getting a second mention here because last month she came out with a new album, and it's pretty fantastic. When I interviewed her six months ago, one of the questions I asked her was about if she's recorded any favorite songs from her own childhood. Part of her answer mentioned that she was in the process of recording some traditional songs for an album that was to be released later this year. This is that album! 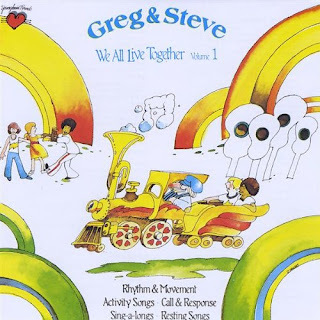 And truly, it's quite an impressive collection--nearly sixty songs (and almost half of them brand-new releases), covering such favorites as "The Ants Go Marching," "A-Tisket A-Tasket," and "The Itsy Bitsy Spider." These are songs that have been sung by generations of children, and now it's time to pass them down to my kids. 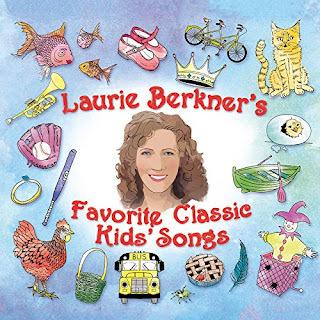 It's surprisingly difficult to find a good collection of classic children's songs that are easy on the ears, but Laurie Berkner's voice and musical style are exactly right for the job. This will now be the album that I recommend to anyone who is looking for old favorites. Favorite song: It's almost impossible to choose just one. I'm pretty sure my kids would choose "The Cat Came Back" until the end of time (they love that song), but one of our other favorites is "Shoo Fly." This might be my favorite one on this list, maybe just because it's totally one-of-a-kind and you can't find it on Amazon (but you can create your own). So remember last time when I told you about the Classics for Kids episodes we were listening to every morning on the way to school? We're currently going strong on those (and listening to William Grant Still's segments this week), but I've been trying to figure out a way to capture and remember some of the things we've been listening to. I finally decided to choose one piece from each composer (preferably one of our favorites when we were listening to the episode) and compile them all into a classical playlist that we could listen to again and again. My kids have loved this. They request this playlist much more often than I would have predicted. They love reviewing details they remember from the episode, and they especially love quizzing Mike and seeing if he knows who each piece is by (the pieces by Kodaly and Kabalevsky totally stumped him). A couple of summers ago, one of our summer goals was to "Name that Composer." I intended to have the boys become acquainted with the music of five different composers, but although we listened to a lot of classical music that summer, none of it stuck. I just couldn't figure out a way to present it to them. But this Classics for Kids/classical playlist combination is it. My one tip would be if you create something similar, make sure you choose pieces in the 2-3 minute range. It doesn't matter how much your kids enjoy classical music, they're probably not going to stand for a 20-minute piece. They're just not. Jim Gill is another artist we've been familiar with for a long time but didn't really pin down who he was and what songs were his until recently (one of our librarians often plays his "Silly Dance Song" as part of storytime). Jim Gill's music has been around for more than twenty years, so I definitely could have heard his music when I was growing up (but I never did). His songs are silly and ridiculous and usually inspire some actions and movement. He usually accompanies himself on the guitar or banjo, and so his music has a twangy, country flavor that will make you start tapping your toes and clapping your hands. My kids can't help singing along with him. His enthusiasm and good humor are contagious. My friend, Sarah, alerted me to this one. She knows that my kids, especially Maxwell, love listening to stories. 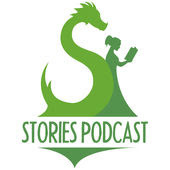 While there are a number of story podcasts out there, this one is our current favorite because 1) It features traditional stories like The Ugly Duckling, The Three Little Pigs, and The Boy Who Cried Wolf, 2) There are usually a few little unexpected differences to the original story that make it interesting to even an adult listener, and 3) most of the episodes are in the 10-20 minute range, which is just about perfect for Bradley. The narrator is not my absolute favorite (the different voices she uses are a little over the top, but this is a kids' show, so I won't judge too harshly), but one of the things I love is that each episode includes a little song to help tell the story. Overall, it's a really great podcast. That's it for now. 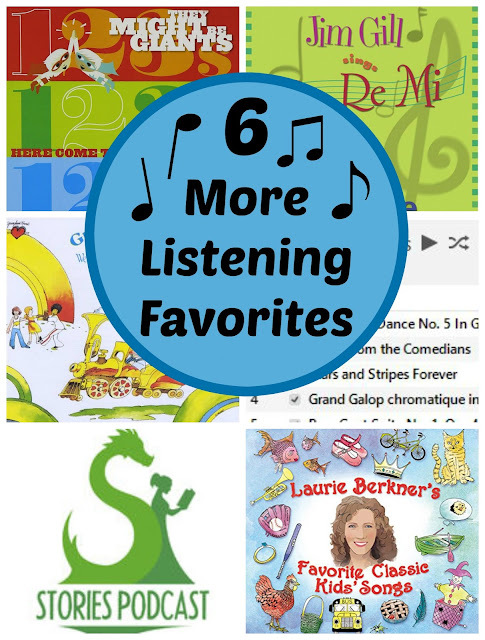 What have your kids been listening to lately? *I received a copy of Laurie Berkner's album and was happy to review it because we love everything she puts out. What a great list! We love Laurie Berkner too. We also listen to a lot of the Putumayo Playground albums (African Playground, French Playground, Rock-and-Roll Playground, etc.) They tend to focus on different cultures or styles of music, and are really great collections. Awesome! We haven't listened to any of those, so thanks for the recommendation! Amy have you tried StoryNory? Yes, we have, but I honestly didn't love it. Do you guys listen to it? Maybe I need to give it another chance. Their Christmas stories have unintentionally become a full-fledged part of our family Christmas traditions. Kids are already asking when they're going to come out! Some favorites that we connect with: Good King Wenceslas (this one is so beautiful! ), The Elves and the Shoemaker, The Nutcracker, Christmas in Iceland, The Angel Gabriel, Christmas in Space, The First Christmas, Swan Lake, A Visit from St. Nicholas, Little Town of Bethlehem... and more. They have such an eclectic mix of world stories, original material, and classics that we've come to love. I think we've only tried their original stories. Maybe that's our problem. These sound so delightful. We will definitely listen to them this Christmas! Thanks so much, Jayne! I have loved getting resources for reading and listening etc from your blog! One of our favorite groups is Ladybug music. They do some funky versions of classic songs and some of their own. It can be hit or miss but we've definitely logged some time listening to their CDs. Oh good! I can think of one Ladybug album we listened to, and it must have been a "miss" because it seemed kind of strange. We'll keep an open mind and check out the others now! More.. Justin Roberts is my favorite artist for school-aged kids. We love Meltdown, Popfly, Jungle Gym. The Alexander's Amazing Adventures series is brilliant and hilarious. Awesome! We don't know any of these! Thanks for sharing some more favorites!